What is Flambeau? Where does it take place? Is it kid friendly? Do I need to buy seats? These are just a few of the questions I have received and I wanted to provide some answers. 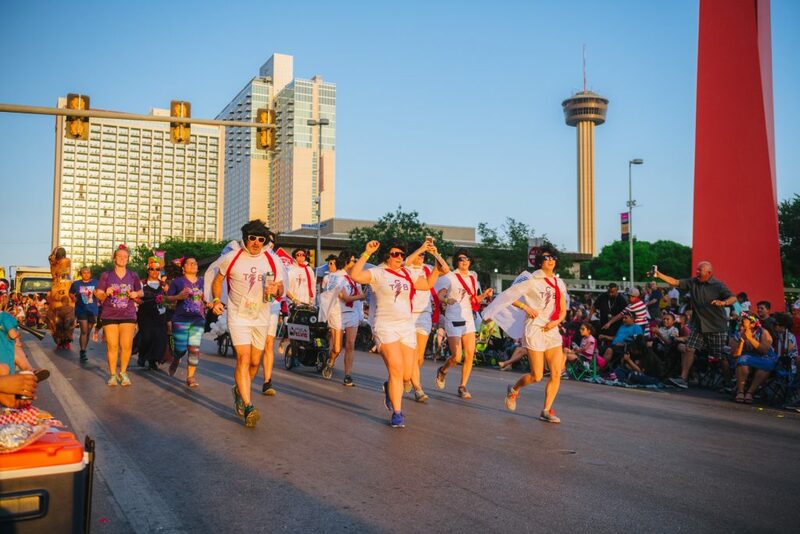 When does the Fiesta Flambeau Parade Start? 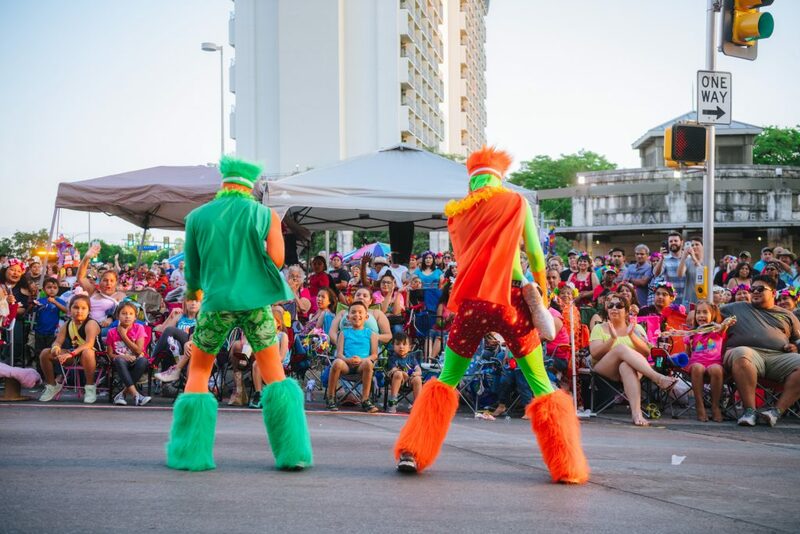 Where does the Fiesta Flambeau Parade Start? 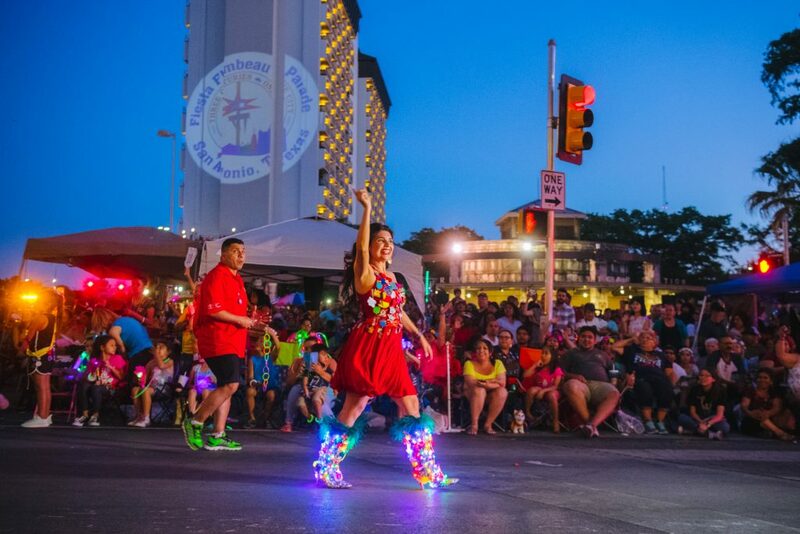 Where to park for Fiesta Flambeau Parade? 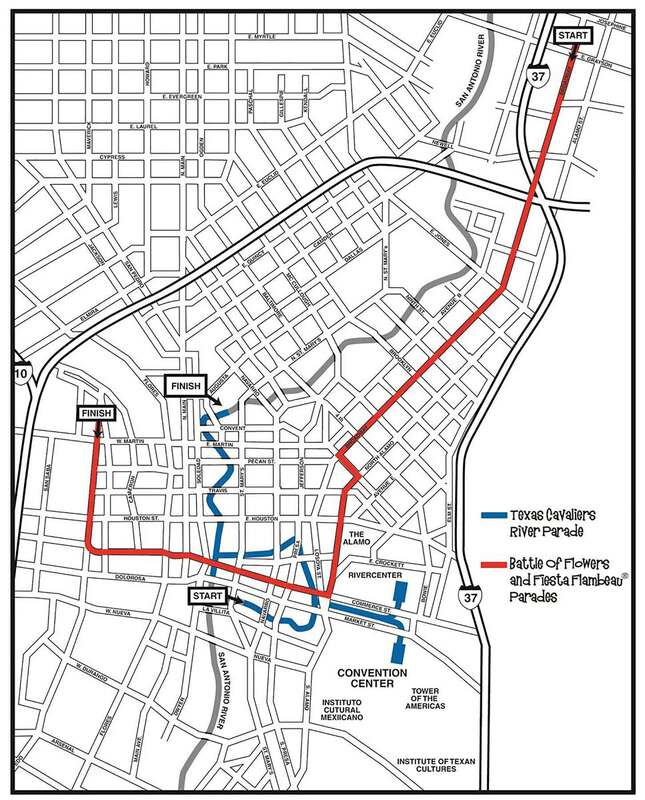 What is the Fiesta Flambeau Parade Route? 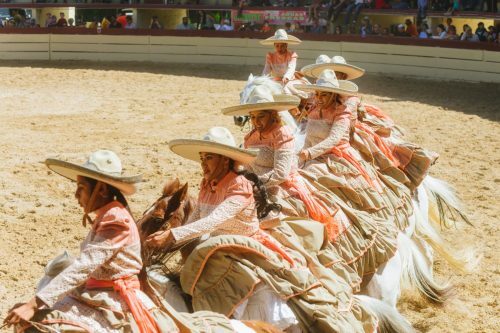 It is a parade that goes down a very long route throughout the city filled with performers and floats. And it takes place at night! 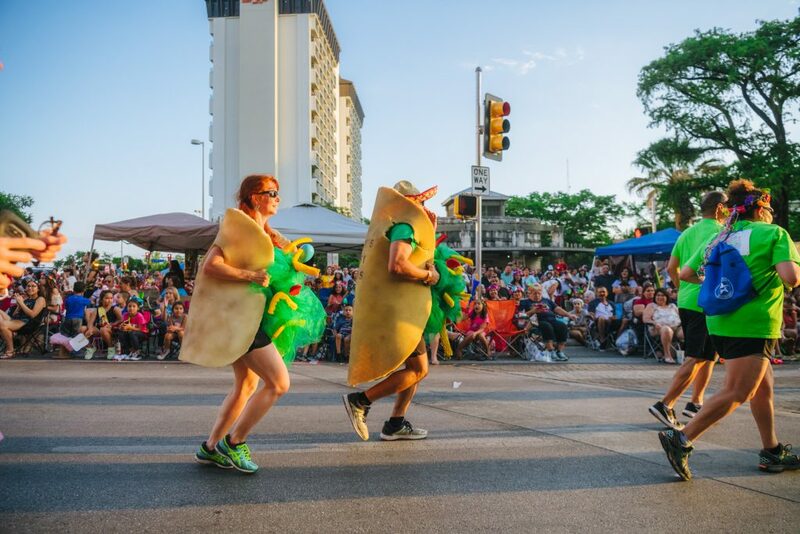 But the parade kicks off with runners from the SARR Fiesta Fandango 2.6 Mile Fun Run passing through first. They are very entertaining & very impressive! 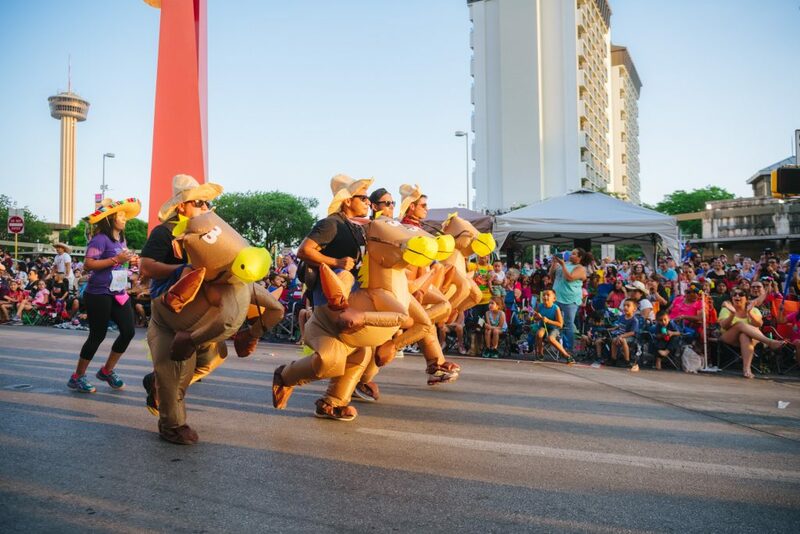 And my overall is FOR Fiesta's Flambeau!!!! We will definitely go back. 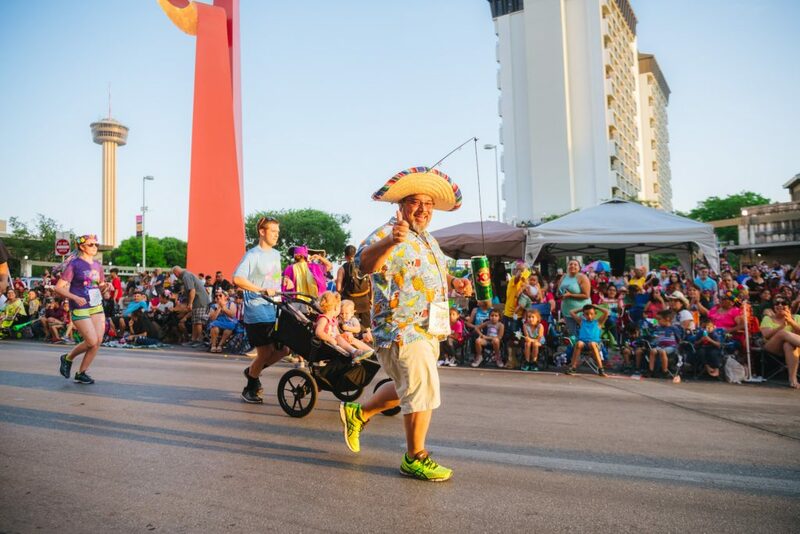 The 2018 Fiesta Flambeau® Parade will celebrate its 70th anniversary with “Three Centuries…One City” as the Parade theme. 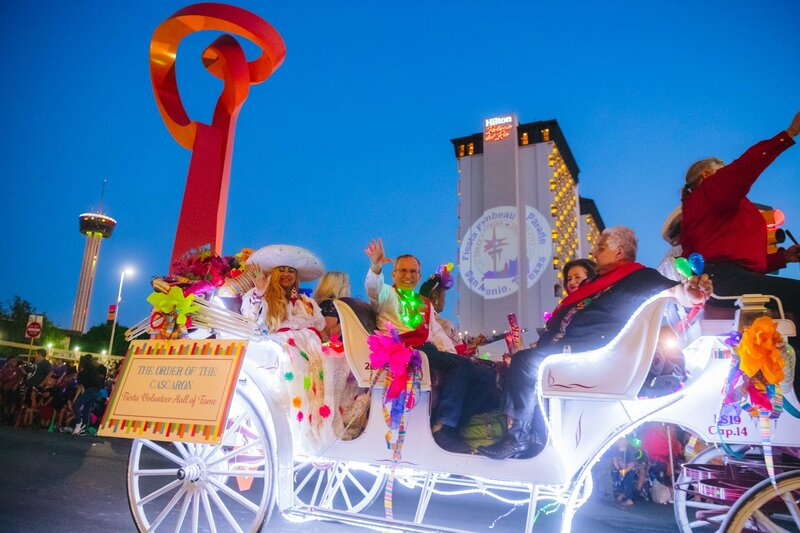 It is the largest illuminated night parade and the highlight of Fiesta®. 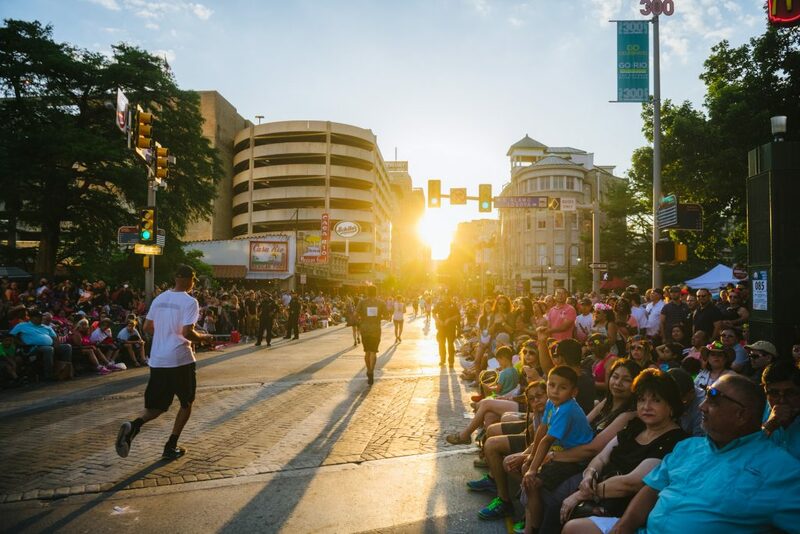 The Fiesta Flambeau® Parade continues to light up the streets of downtown San Antonio along the 2.6 mile route and viewed by an estimated 750,000+ spectators and another 1.5 million television viewers. 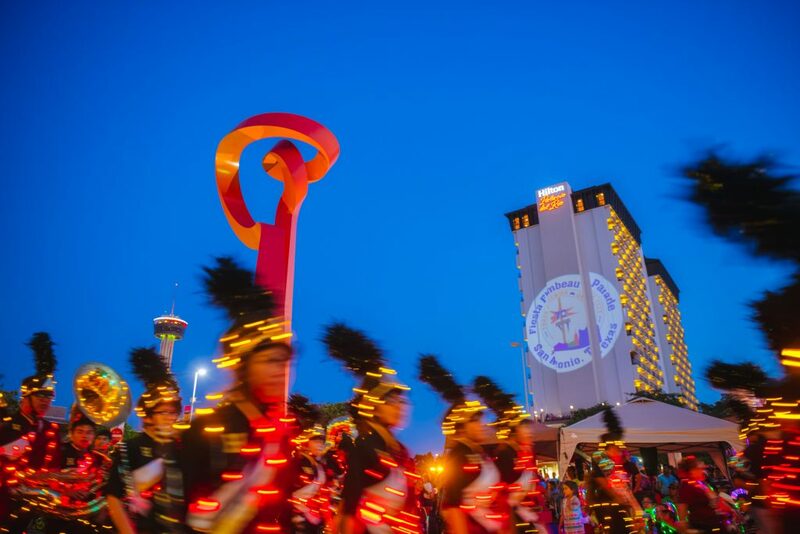 Leading our parade for its 70th year is our premier band, The University of Texas Longhorn Band, followed by spectacular themed floats, marching units, local, out of town and out of state bands, dance groups, equestrian units and many other attractions that create a memorable night of illuminated entertainment. 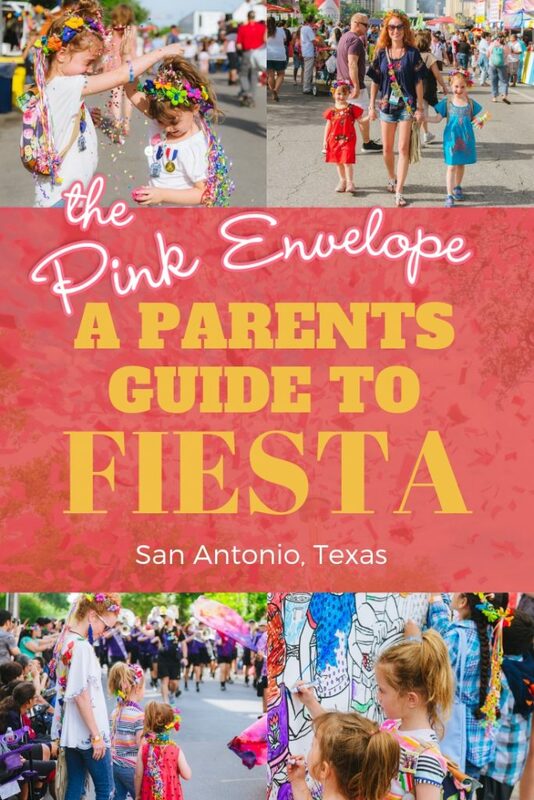 The Fiesta Flambeau ®; Parade Association, Inc.’s mission is to plan, organize, produce and stage the Fiesta Flambeau Parade annually during Fiesta San Antonio. 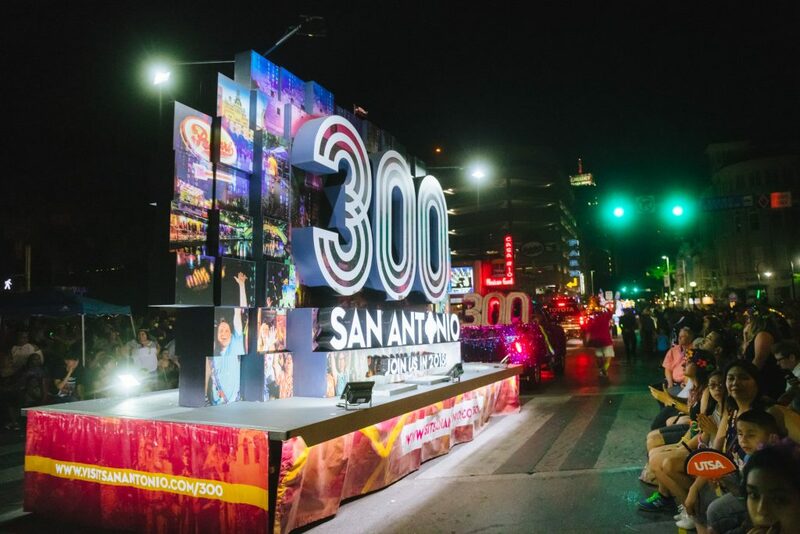 It does so to enhance the celebration for the San Antonio community and its visitors. 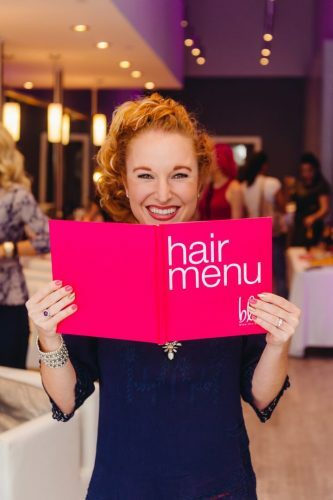 It is a nonprofit, volunteer organization with 96 members and more than 300 volunteers. Can I brag on our city for a bit? 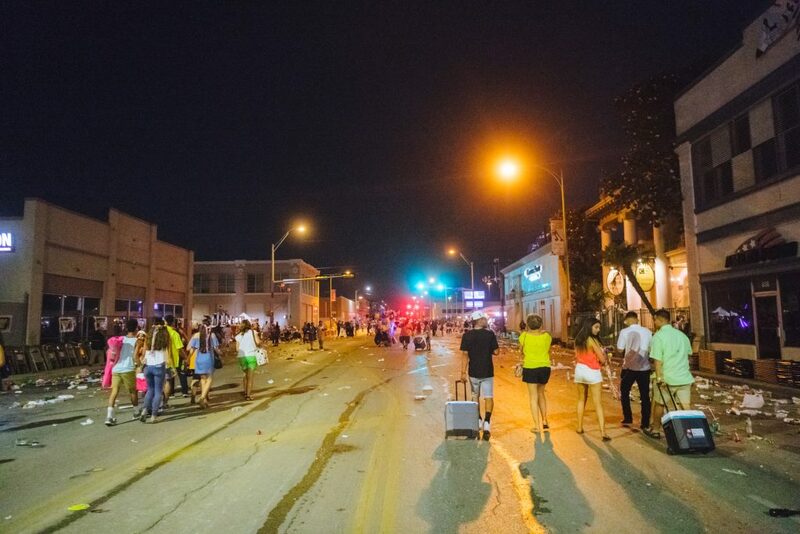 After the Flambeau Parade, my hubby & I chose to walk from our seats at Alamo & Losoya to Pearl. 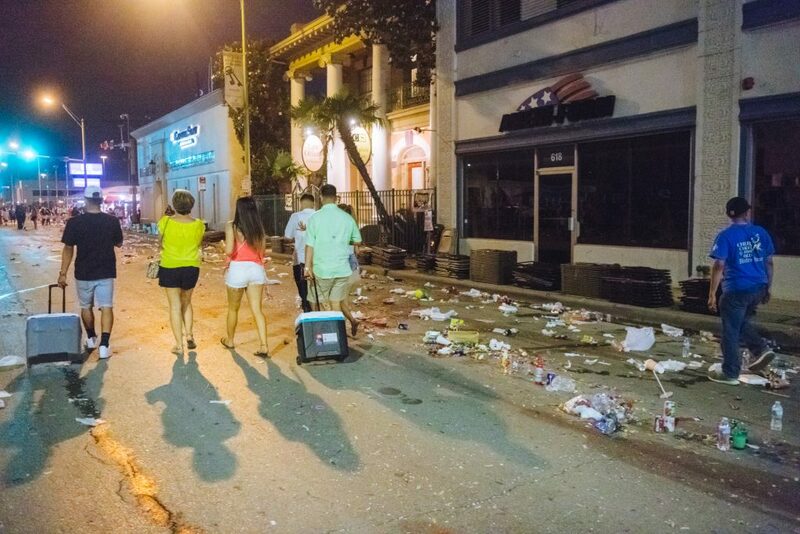 This gave us the ability to walk the parade route and yall, TRASH WAS EVERYWHERE! It was quite unbelievable! 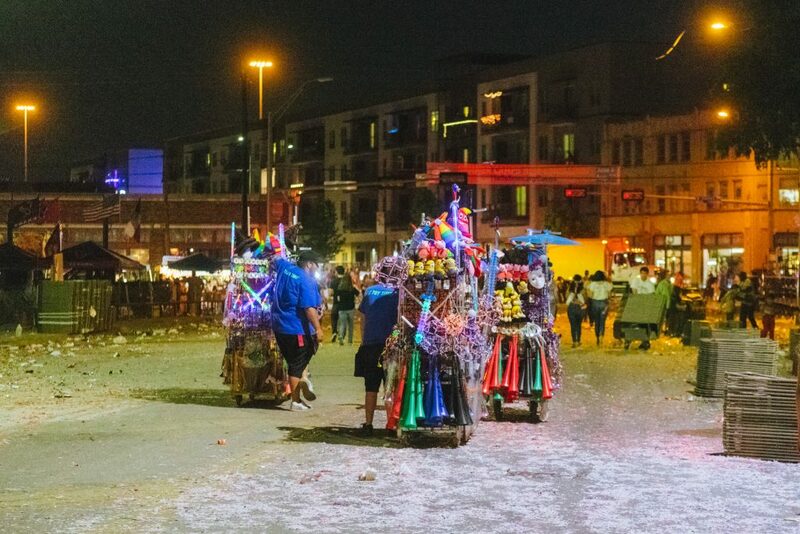 But guess what happened next…The city of San Antonio sent recycling trucks out & they were picking up recyclable goods and emptying the many recycling bins they had put out. After recycling was picked up the trash trucks came through, then finally the street sweepers. It was so impressive & really made my heart happy to see how our city makes it possible (and even encourages) events like these! A big thank you to all those hard working men & women. Without their clean up efforts, this would not be possible!